This example introduces the usage of the Hierarchy Toolbar. 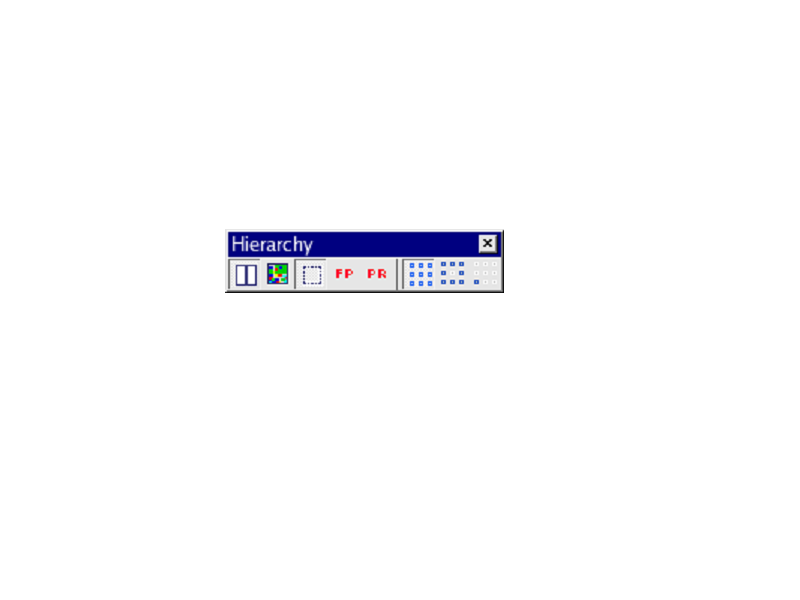 The Hierarchy Toolbar (see hierarchy_toolbar.png ) is displayed from View->Toolbars->Hierarchy menu. Load viewing_ex02.eld file, and open the "SO05T999_ST" cell. Click the Lazy View button. 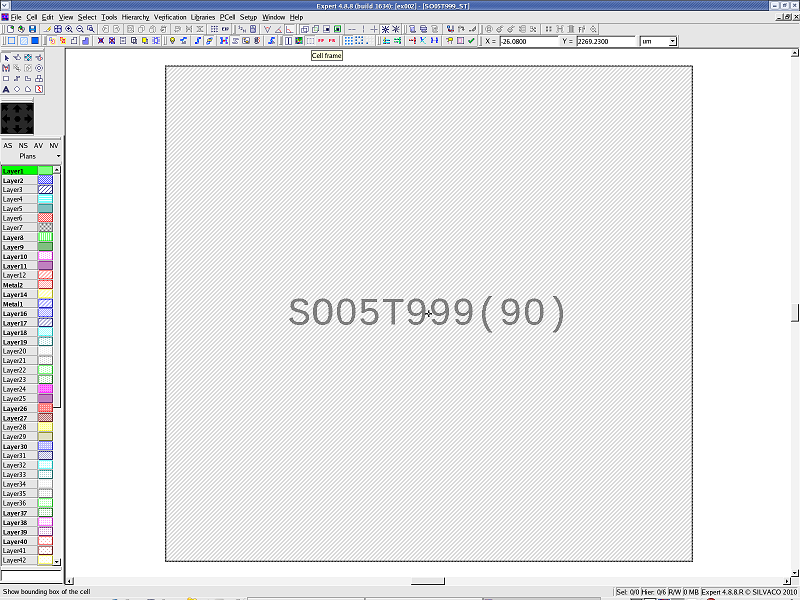 The "SO05T999" cell instance will be displayed as a hatched box (see lazyview.png ). Click the Flat View button to display all hierarchy levels (see flatview.png ). Click the Cell Frame button to display the bounding box of the edited cell (see lazyview_bbox.png for Lazy View and flatview_bbox.png for Flat View). Set the hierarchy depth to 4 by selecting View->Cell View->Hierarchy Depth->4 . 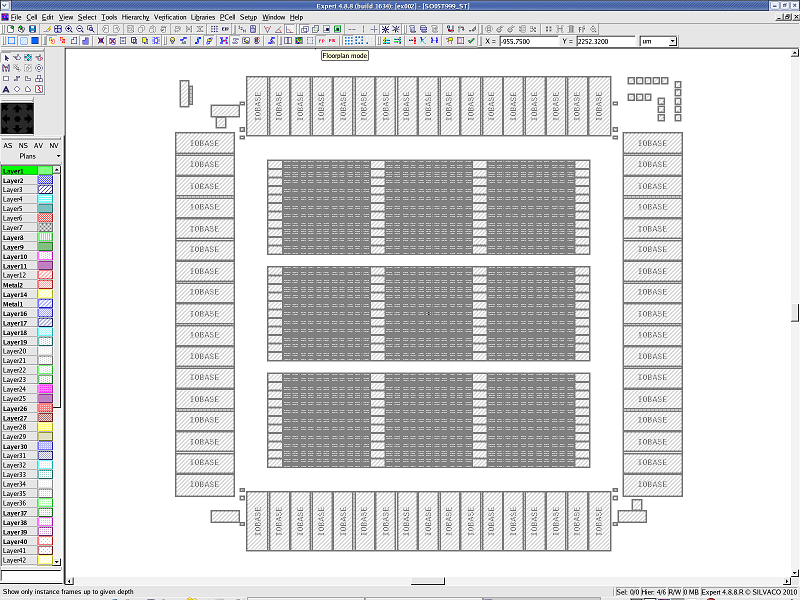 This will enable the Floorplan button. 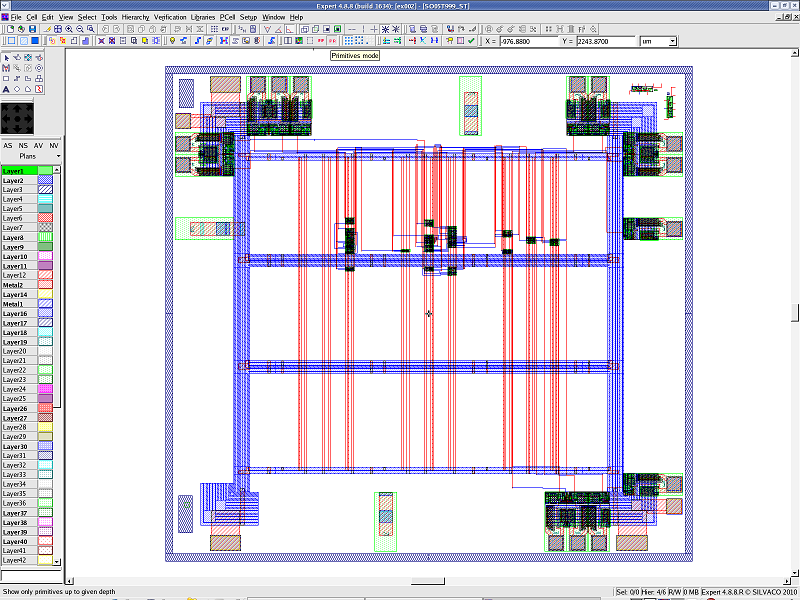 Then click the Floorplan button to display only instances/arrays (see floorplan.png ). Click the Primitives button to display only primitives (see primitives.png ). Open the "Array" cell, and click the Flat View button. Click the Complete button to display the whole array (see complete_array.png ). Click the Perimeter button to display the outer part of array (see perimeter_array.png ). Click the Outlook button to display only the origin part of array (see outlook_array.png ). Instances/arrays are displayed as hatched boxes. All hierarchy levels of the cell are displayed as flattened. 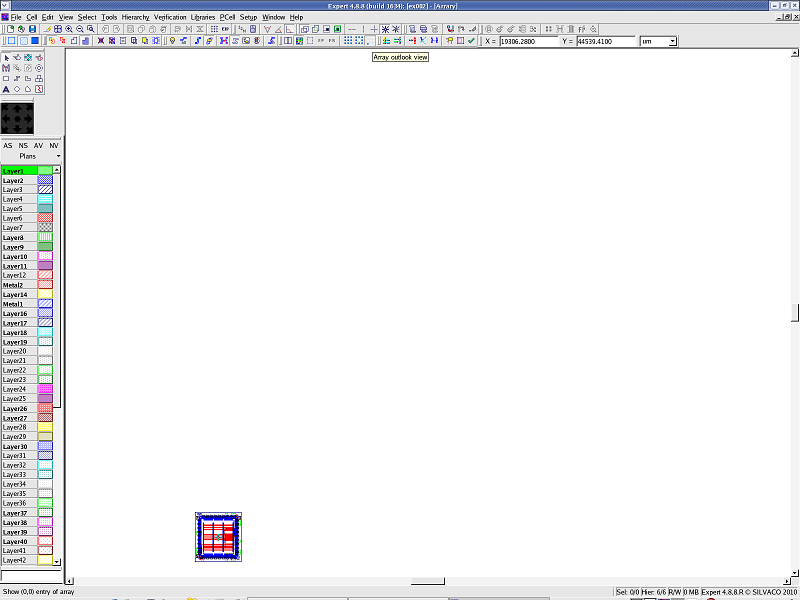 The bounding box of the edited cell is shown as a dashed frame around the cell . Only primitives are displayed. This mode can be used when hierarchical depth has been selected in View->Cell View->Hierarchy Depth . 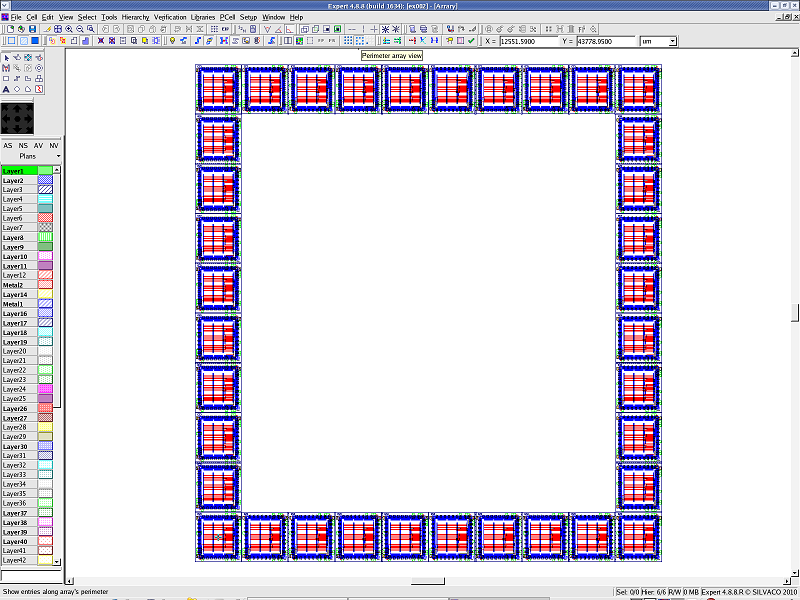 The whole design placed by the array is displayed. 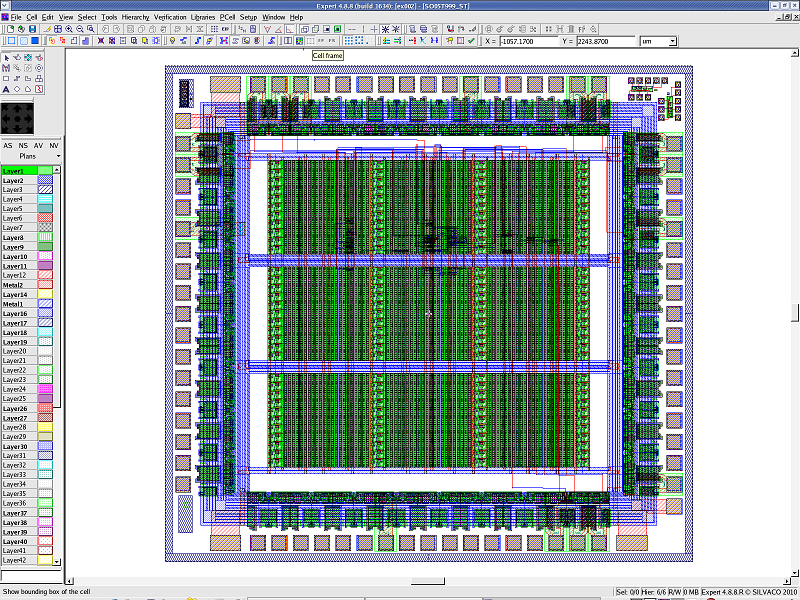 The outer part of the design placed by the array is displayed. 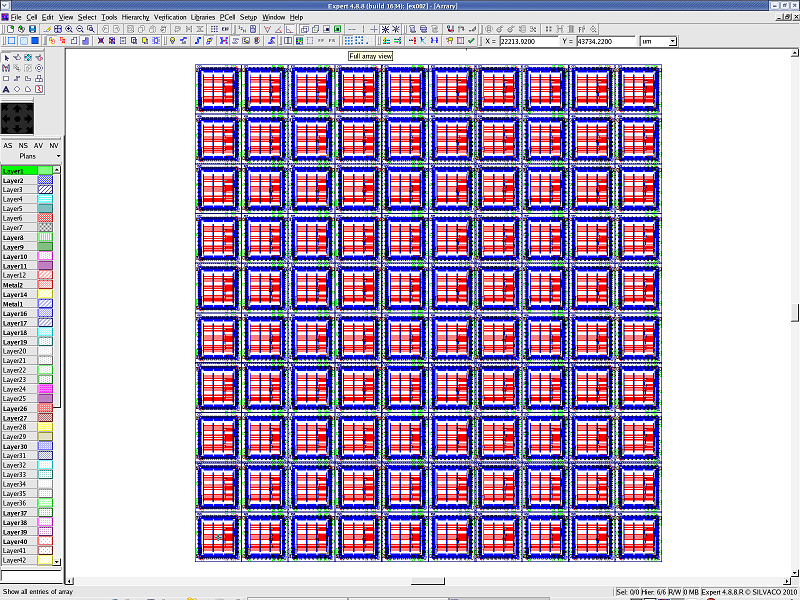 The origin part of the design placed by the array is displayed.